Gerber Moving & Storage handles Olathe, Kansas moves frequently. We handle business and residential moves, local moves and long-distance moves to and from Olathe and can seamlessly handle storage before or after your move. Olathe is the 5th biggest city in Kansas, and is the 24th fastest growing city in the nation, so there are many more moves TO Olathe than FROM it! This is also because Olathe is #11 on CNN/Money’s 100 Best Cities to Live in the United States. 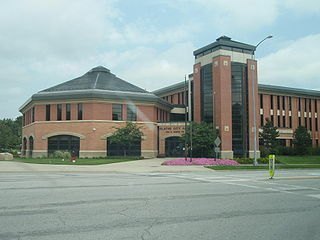 Olathe is also the county seat of Johnson County, KS. Our Olathe customers often work for the large companies there, including Honeywell, Husqvarna, ALDI, Garmin, and Grundfos. Olathe is home to more than 130,000 residents who enjoy hometown flavor with big city amenities and a quality of life second to none! Olathe is one of the fastest growing cities in the United States for good reason. My wife and I would like to thank Gerber Moving and Storage for taking the stress out of moving from Olathe to Gardner Kansas.